In areas where prescribed fire is or has the potential to be a significant source of air pollution, smoke management programs have been developed in collaboration between air quality regulators and Federal, State, Tribal, and private land managers. Address visibility impacts in mandatory Class I federal areas. The SMP is meant to have elements of basic smoke management practices (BSMPs) as a core with a more structured approach to organization and participation. A SMP can either be voluntary or mandatory based on the needs of the respective State, Tribal land or area. 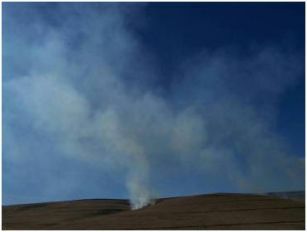 The ESMP is the most stringent smoke management approach and is more likely to be used when there is current or projected significant contribution to non-attainment of air quality standards or Class I area visibility impairment from prescribed burning on wildlands. The Enhanced Smoke Management Program (ESMP) requires employment of BSMPs and the elements of an SMP as well as additional elements to address the significant contribution to non-attainment or visibility impairment in Class I areas. Thus, the additional elements that are typically included are: 1) Emission Reduction Techniques, 2) Regional Coordination, and 3) Annual Emission Goals. Like the SMP, development of the ESMP should be accomplished collaboratively between air quality and land managers with consideration of the effects on perpetuating hazardous fuel accumulation and how the essential ecological processes that are provided by prescribed fire will be addressed.